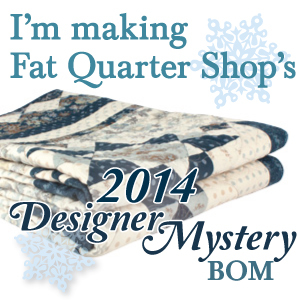 I am so very glad that I went forward with my changes on my Forget Me Not quilt. I was able to finish it up last night and it turned out just like I had hoped. I now, truly feel that I have finished it. Here are the new and improved pictures. I brought the quilt to work today since it was dark outside last night by the time I finished it and I knew I wouldn’t have a chance to take any before I left home this morning. Close up of improved borders. 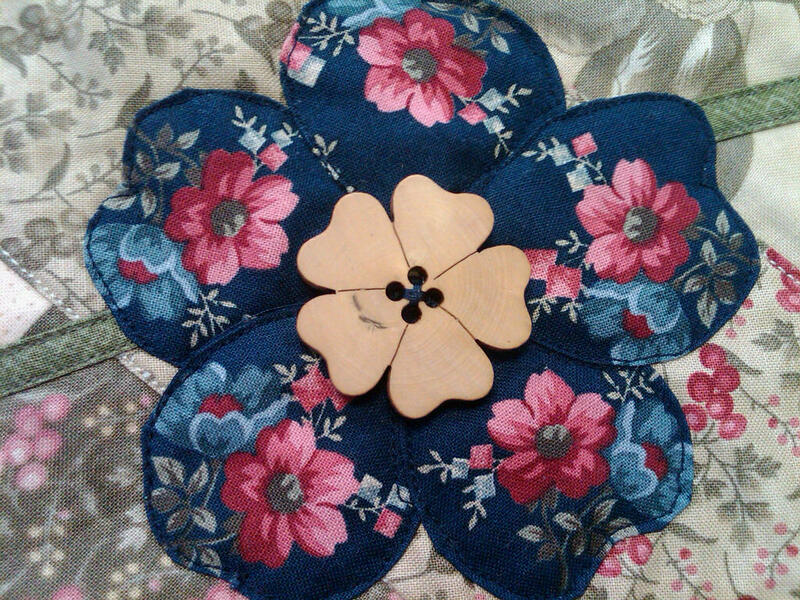 I top stitch appliqued the stems, leaves and center Forget-Me-Not flower. I hand appliqued the yo-yos as flower buds. I started off top stitching around the edge of the yo-yos (I did 5 of them), and it was not a good look at all. Ripped out those threads and I love how these pop up now! I even have some ‘scrappy’ yo-yos, trying to finish off every last bit of the original fabrics. Edge flipped over to show the backing fabric. And I found the absolute PERFECT wooden buttons at JoAnns this weekend. PERFECT! 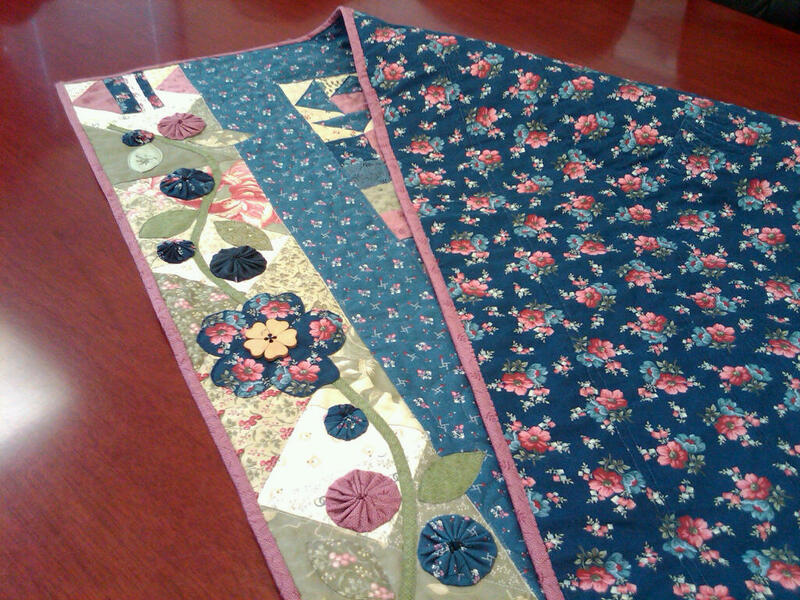 Love the fussy cutting of the Forget Me Not flowers from the fabric to be the petals. Much better – yes? Just need to make a quick label and stitch it to the back! 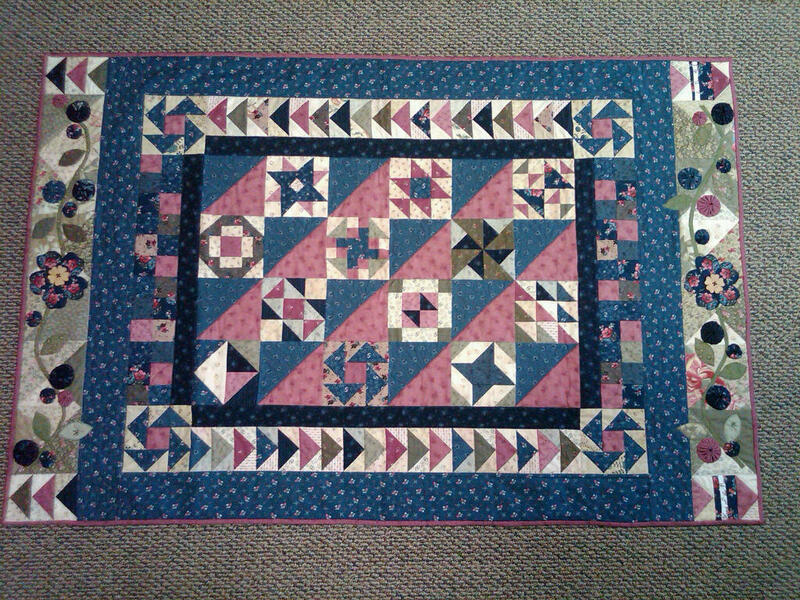 No BOM Rehab today, but I feel good that I sacrificed that time to finish up this quilt. I’ll see you next week Sinta! What a gorgeous quilt! Nice job.